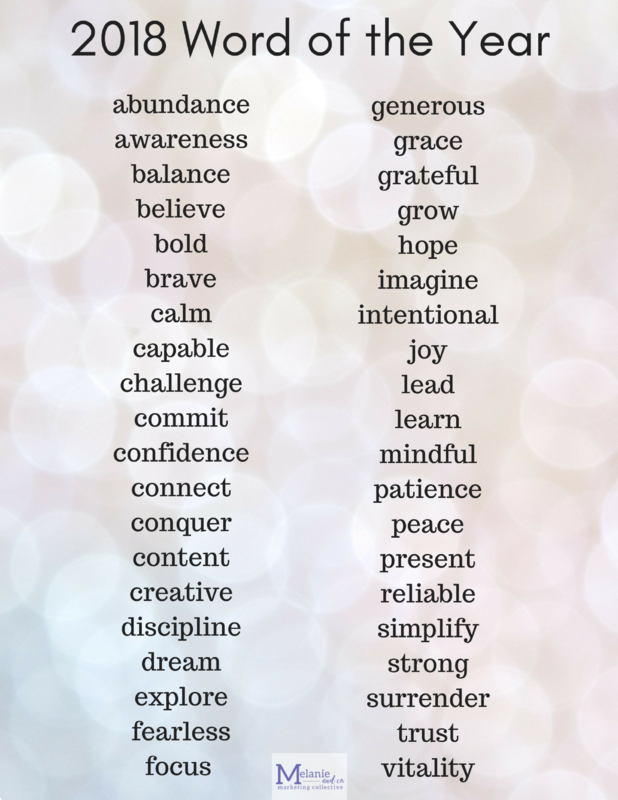 Choosing a WORD as inspiration for your year can provide incredible insight and direction. Your WORD can be anything that resonates with you. It’s not necessarily a to-do list, but it can provide encouragement and serve as a reminder. Since your WORD is just that – one WORD – it becomes a broad topic and can be more easily applied to multiple areas of your life and business. Once you’ve declared your WORD, you can embark on multiple journeys to incorporate it into your life. Write it on the bathroom mirror with a big, fat sharpie, so you are reminded of it every morning and night while you brush your teeth; write it on post-it notes and put those babies everywhere: in the car, in your wallet, on your computer monitor; create a years worth of content around your WORD by writing blog posts and social media content and images relating to it. Find a framed print with your WORD and display it in a place of prominence. Whatever you need to remind yourself of your WORD and keep motivated will work. Having trouble deciding on your WORD of the year? Christine Kane has a great tool (FREE!) that can help you determine your WORD. You can get her tool here. For your inspiration, here’s is a list of WORDs I collected that may help you narrow it down a bit.